« Would Scottish Independence Be a Net Plus for Liberty? Professors Davies is right on the mark in every case. And I’m happy to pile on with additional data and evidence. Myth #1: Herbert Hoover was a laissez-faire President – Hoover was a protectionist. He was an interventionist. He raised tax rates dramatically. And, as I had to explain when correcting Andrew Sullivan, he was a big spender. Heck, FDR’s people privately admitted that their interventionist policies were simply more of the same since Hoover already got the ball rolling in the wrong direction. 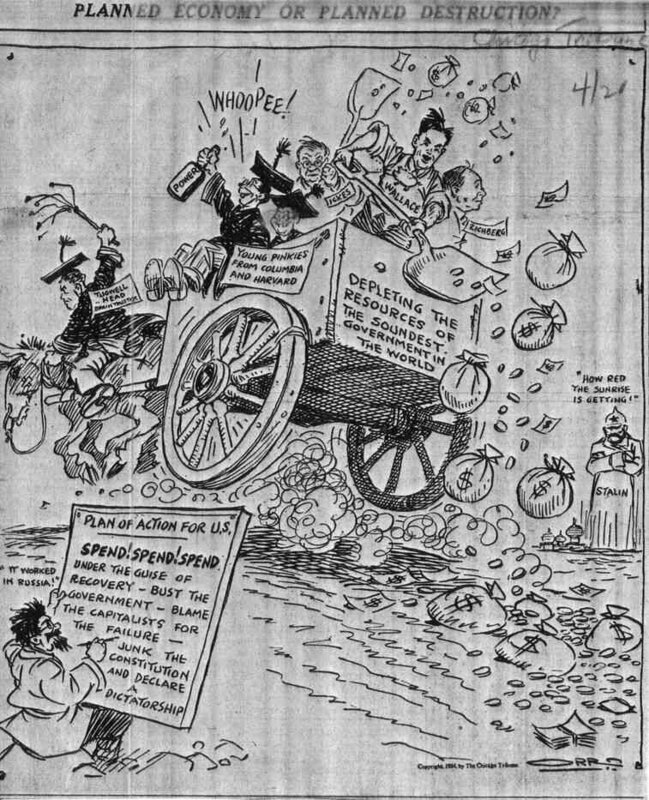 Indeed, here’s another video on the Great Depression and it specifically explains how Hoover was a big-government interventionist. Myth #2: The New Deal ended the depression – This is a remarkable bit of mythology since the economy never recovered lost output during the 1930s and unemployment remained at double-digit levels. Simply stated, FDR kept hammering the economy with interventionist policies and more fiscal burdens, thwarting the natural efficiency of markets. Myth #3: World War II ended the depression – I have a slightly different perspective than Professor Davies. He’s right that wars destroy wealth and that private output suffers as government vacuums up resources for the military. But most people define economic downturns by what happens to overall output and employment. By that standard, it’s reasonable to think that WWII ended the depression. That’s why I think the key lesson is that private growth rebounded after World War II ended and government shrank, when all the Keynesians were predicting doom. By the way, Reagan understood this important bit of knowledge about post-WWII economic history. And if you want more evidence about how you can rejuvenate an economy by reducing the fiscal burden of government, check out what happened in the early 1920s. P.S. If you want to see an economically illiterate President in action, watch this video and you’ll understand why I think Obama will never be as bad as FDR. P.P.S. Since we’re looking at the economic history of the 1930s, I strongly urge you to watch the Hayek v Keynes rap videos, both Part I and Part II. This satirical commercial for Keynesian Christmas carols also is very well done. I want to add a regulation perspective to Mr. Dan’s point. Here is a simple thought experiment. Take any business regulation on the books and ask the question: “Does this regulation add costs or cut costs for the business?” The answer is simple: If it cuts cost, the business would do it without the regulation in place, so any such (non-existent) regulation can be removed. In short, REGULATIONS ALWAYS ADD COST. When we add cost to something do we get more of it or less of it? Less of it. So adding regulations means adding cost, which means less business. Period. As a society we can debate what level of regulation we think is right, but there is no debate that every single one of those 75,000 pages of regulation costs our economy. I have a 1944 magazine where they are worrying about the Depression starting back up after the war. Luckily, congress was controlled by Republicans, They kept Truman’s worst instincts at bay and anti-capitalism was curtailed.